The Oregon Shakespeare Festival was hard hit by the fires that swept Southern Oregon this summer, so it’s reassuring to see full-house audiences with a high level of appreciation attending the opening plays of the 2019 season. OSF doesn’t stint on plays about social and economic injustice — these have been a hallmark of Bill Rauch’s 12 years as artistic director. Rauch departs after this season, leaving behind a diverse ensemble dedicated especially to high-level performances of contemporary repertoire. This review covers “As You Like It,” playwright Octavio Solis’ “Mother Road” in its world premiere, and “Hairspray,” which represents Rauch’s commitment to the American musical. 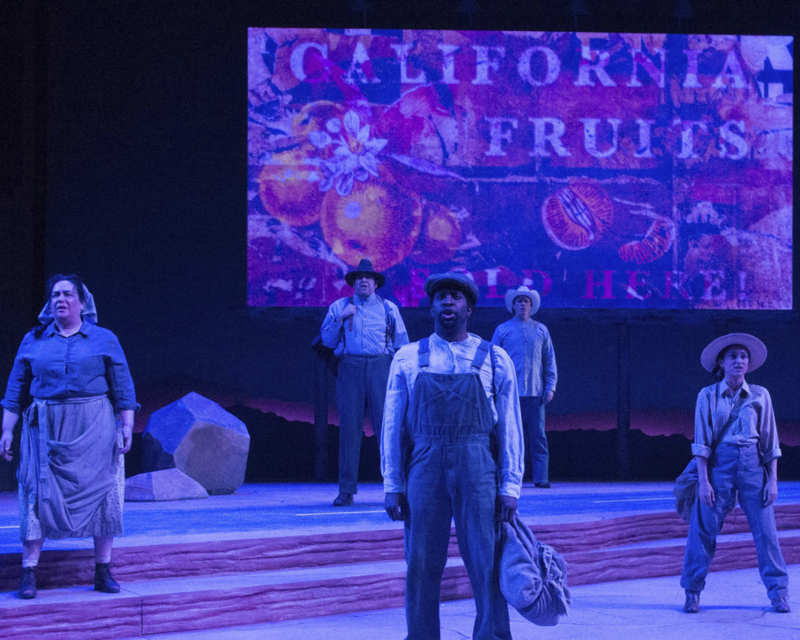 Solis’ “Mother Road” was inspired by the Steinbeck novel and recalls the road trip taken by the hard-luck Joad family from Oklahoma to the migrant farmworkers camps in California during the Depression. 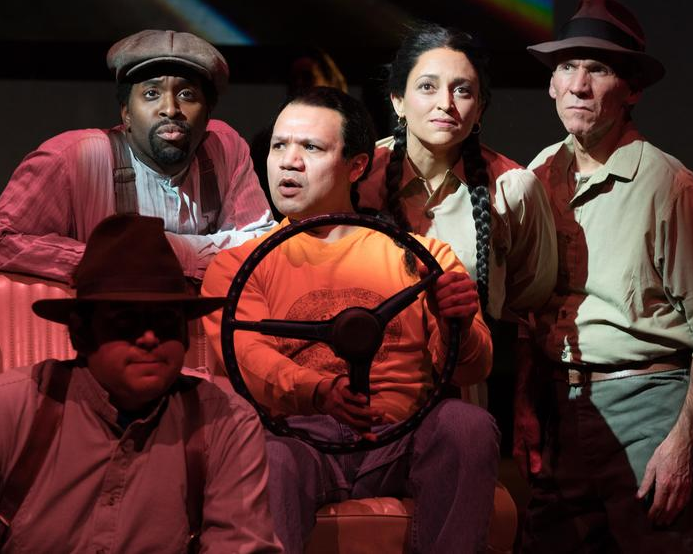 “Mother Road” is an explosive, language-driven work that tracks the last known Joad, who happens to be a Latino farmworker named Martin Jodes. Jodes travels from the fields of California to Oklahoma to claim a 2,000-acre ranch offered by the last Joad heir, who is dying. The idea came to Solis when he joined a National Steinbeck Center trip that followed the Joads from Oklahoma to California. On the journey, Solis was struck by the social and economic injustice prevailing today. He concluded that the “Okies’ of the 1930s were treated like low-class citizens much as the Latino farmworkers are today. Rauch directs the play with a spare hand, allowing Solis’ sometimes-poetic, sometimes-graphic language to strike home. The cast is superb. Mark Murphy is an acerbic, humorous William Joad; Tony Sancho, as Martín Jodes, delivers a nuanced performance, reflecting poetically on the farming he loves, and on his many brutal encounters with the law. The clever set is simply the front seat of a truck, the wheel held by whomever is driving, and the back end of the truck, with black and white desert scenes flashing above. This is one not to miss at Ashland this year. Suffice it to say that the play tries hard to be relevant, putting women into principal male roles, the idea being to offset the play’s patriarchy, which is not particularly effective. The play has good bones, however, in the performances of a lithe and handsome Orlando (Román Zaragoza), a spirited and sweet Rosalind (Jessica Ko), and one of the funniest Touchstones ever (Rex Young). Rosa Joshi’s direction allows one of Shakespeare’s finest heroines to shine through, even though she is denied her witty epilogue, and Orlando’s wrestling scene is one for the books. 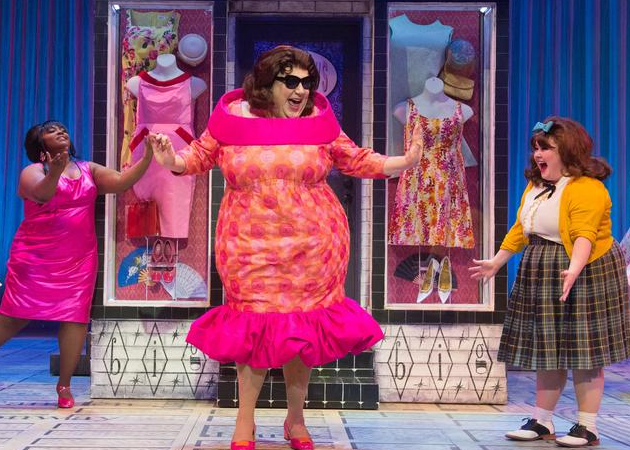 The spin and polish OSF has put on this season’s “Hairspray” would make Broadway proud. The show, while addressing real issues such as racism and misogyny, refuses to take itself too seriously, and with a crack cast onstage and a lively band in the pit, it goes off like a Roman candle. Katy Gerahty’s Tracy Turnblad, short and stout and dying to dance, headlines the show, with outstanding performances by Eddie Lopez as Corny Collins, high-flying dancing by Christian Bufford as Seaweed Stubbs, and gorgeous, gospelly vocalizing by Greta Oglesby as a glittering Motormouth Maybelle. Ashland regular Daniel Parker is a scene-stealer as the hilarious mom of the star, Tracy. “How to Catch Creation,” an adaption of “Alice in Wonderland,” and “Cambodian Rock Band,” billed as an epic play/rock concert. An 11th play, a bilingual adaption of “Comedy of Errors,” will play in regional theaters in the summer. For more information on tickets and the play schedule, check the festival website.